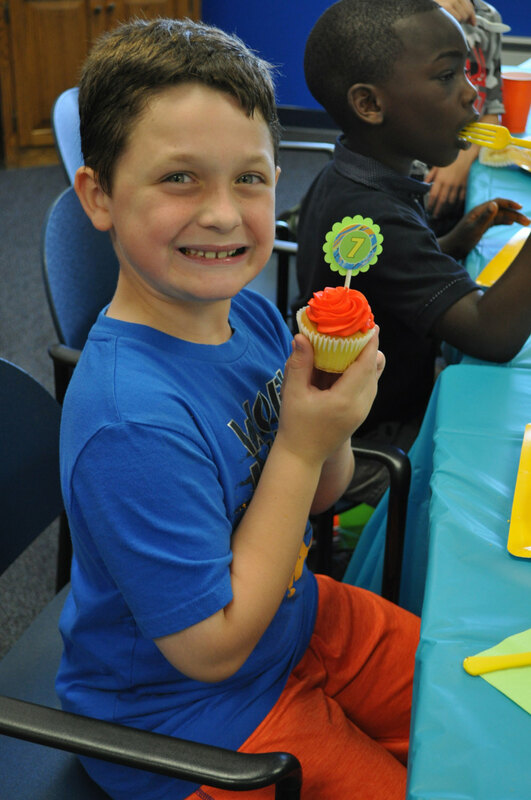 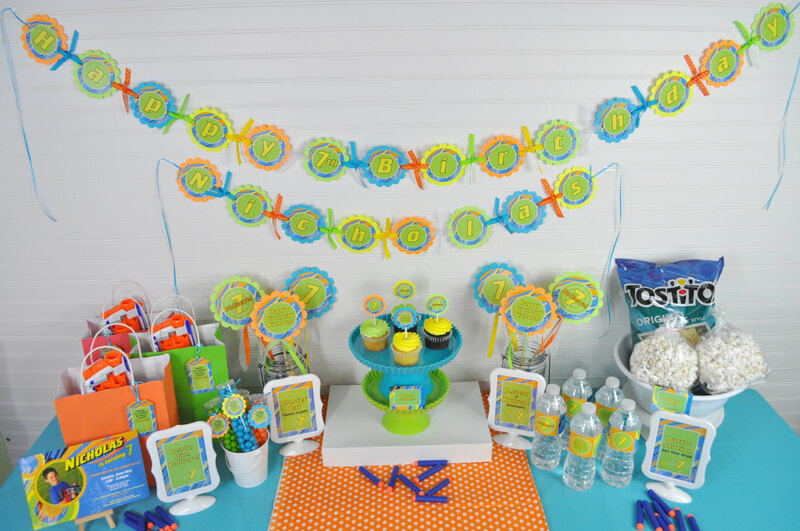 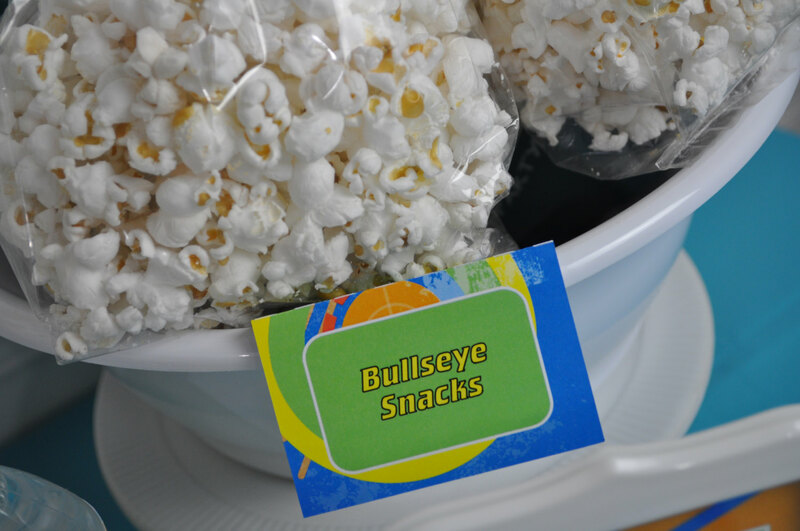 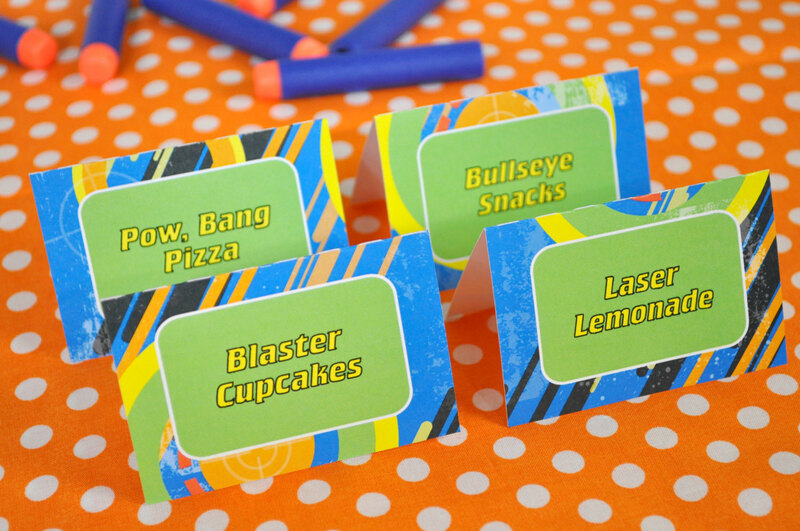 Celebrate your boy’s laser tag dart blaster gun birthday party with these birthday food label tent cards. 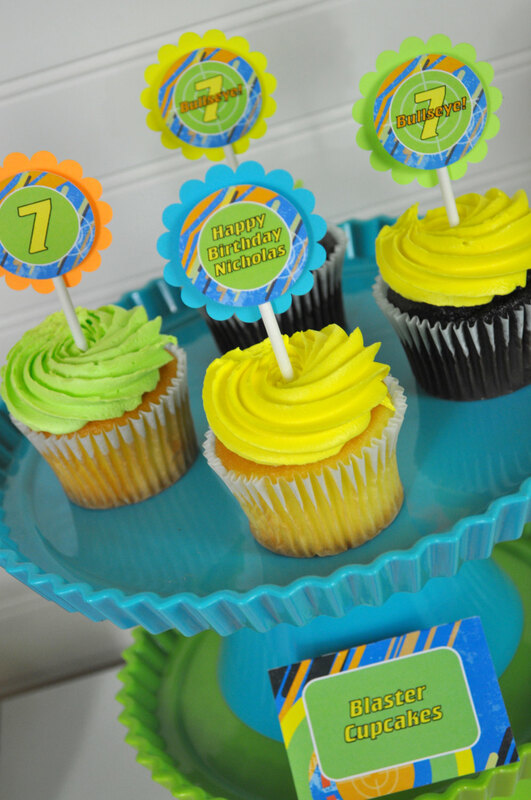 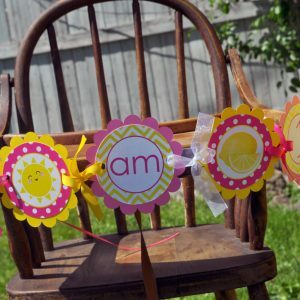 Perfect for labeling food buffet tables or place cards. 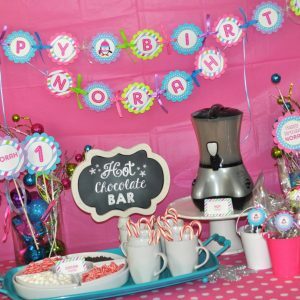 We will print your own personalized message on the cards. Each card is 3" x 2" when folded. 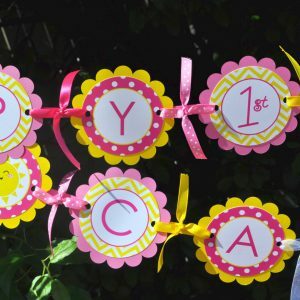 Includes 12 personalized and printed tent cards.